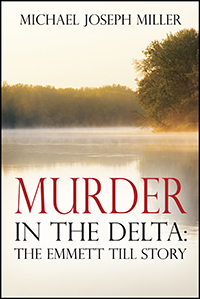 Murder in The Delta: The Emmett Till Story by Michael Joseph Miller, published by MJM Publishing LLC. A wolf-whistle, a brutal murder, a movement ignited. Emmett Till, a fourteen-year-old black youth from the South Side of Chicago traveled to Money, Mississippi for a summer vacation. It was 1955; racial tensions were extremely reprehensible in the South. During his visit the youth became embroiled in a wolf-whistle incident with a white woman, which led to his brutal murder. The atrocity of Emmett Till’s lynch/murder set off a chain reaction that emerged as the vanguard event which catapulted one of the most extensive civil rights movements in U.S. History. 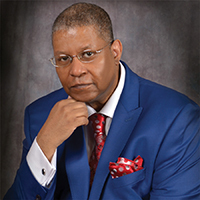 About the author, my avocation in writing led to extensive studies in literature, film and television writing during my college career years in the late seventies and early eighties. As children my mother would always tell my brothers and sisters and I about this little boy name Emmett Till who was savagely murdered in Mississippi because he whistled at a white woman and her fear of not allowing us to visit relatives living in that State. It was during my college years that I began to ascertain what had happened to Emmett Till, which led to meetings with his mother and grandmother beginning on March 9, 1978. As a result of those meetings with relatives, friends and major participants launched a long odyssey of comprehensive and in-depth research that produced MURDER IN THE DELTA: The Emmett Till Story. © 2019 MJM Publishing LLC.. All Rights Reserved.